Bairrada, wine made from the local noble grape ‘Baga’, a thick-skinned varietal notorious for being austere when young but with amazing potential to develop finesse and elegance with age. 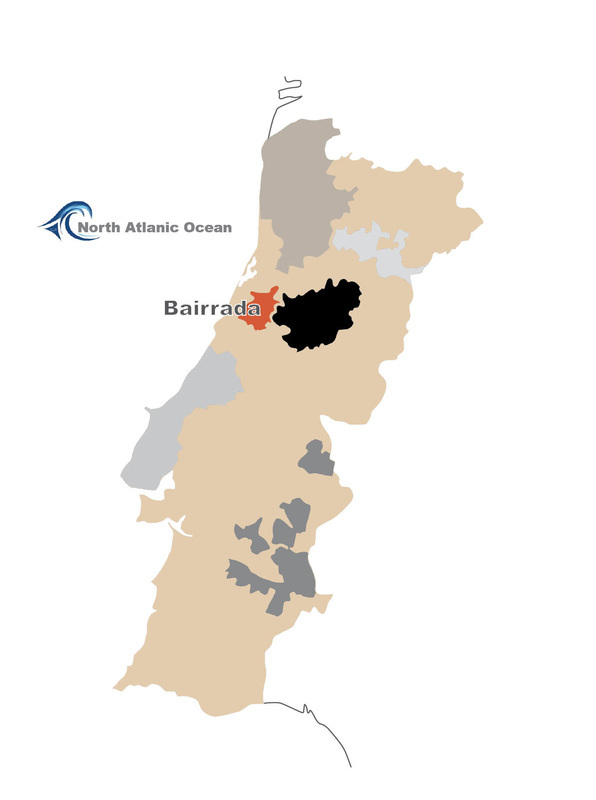 The low-lying rolling country of the Bairrada lies between the Atlantic coast Bussaco and Caramulo, in the centre of Portugal. Its climate is similar to but less humid than the Vinho Verde region further to the north. The Bairrada has one of the oldest viticulture traditions in Portugal, but was only demarcated by law in the late 1970s. The name Barraida is derived from the term ‘Barros’ meaning clay, in honour to the region’s major soil component. Over 75% of the wines produced are reds from Baga, with recent years seeing an increased planting of Touriga Nacional; major white varieties include Bical, Marua Gomes, and Cerciral.